The Fashionable Studio bed frame has a low foot end and head board which makes it ideal for loft conversions or rooms with sloping roofs or even if this style simply suits you. This bed comes Flatpack but it is an easy assemble. The mattress isn’t included. 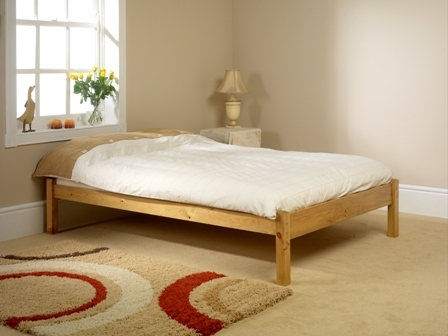 The bed frame fits standard UK sizes.